Hotel – Hotel Villanueva, tu hotel en Lalín. This hotel, young and familiar, opened for business in 2001 with only 14 rooms. In 2005 its capacity was enlarged by allocating 16 more rooms under the roof in the refurbished attic. All our rooms are very functional. 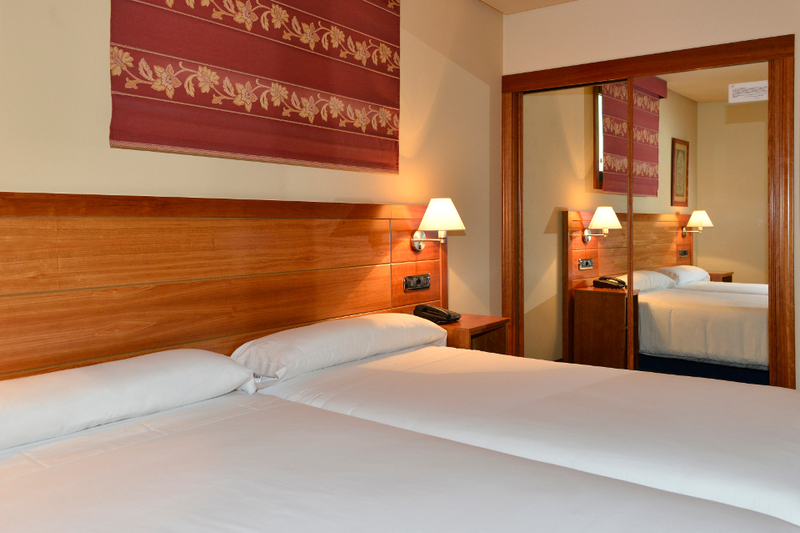 Traditonal decoration but with an innovative touch makes the facilities a cozy, warm and confortable accomodation for you to enjoy long stays in the center of Galicia region. 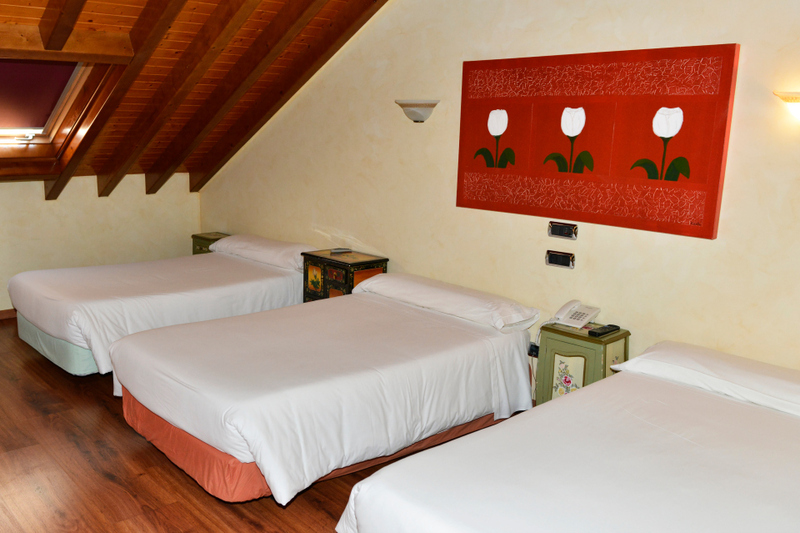 All rooms are equipped with indipendent bathroom, TV, wradrobes and desks. 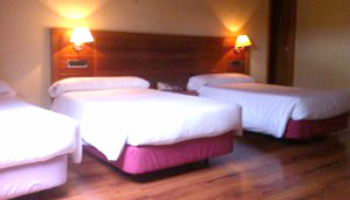 Avaliable configuration in twin our king size double beds, but also some fitted with 3 or 4 individual beds. 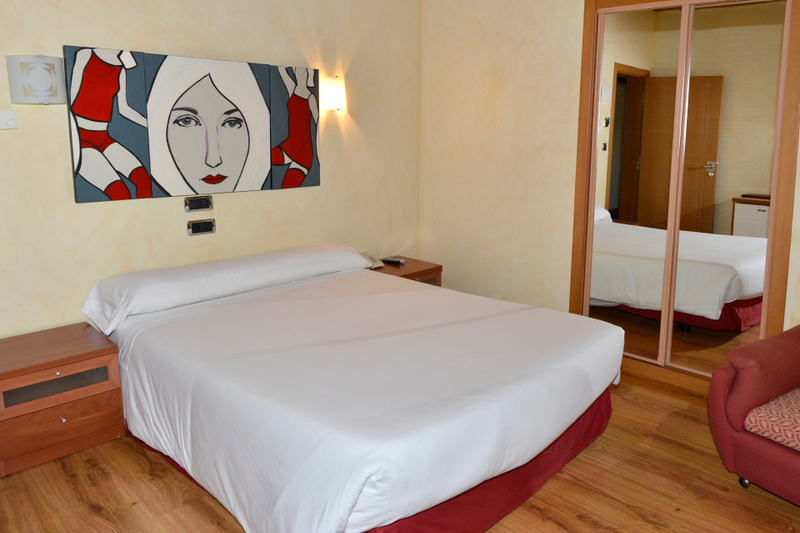 Our 30 rooms in total can accomodate confortably up to 64 people.